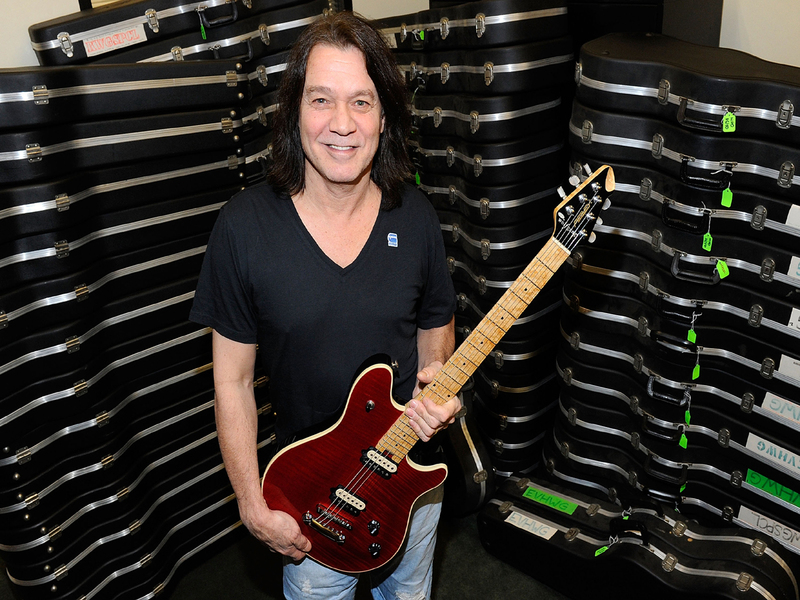 (CBS/AP) Rocker Eddie Van Halen has donated 75 electric guitars from his personal collection to Los Angeles-area high schools as a way to inspire music in kids. Tricia Steel of the Mr. Holland's Opus Foundation says the Van Halen lead-guitarist came with the brand-new guitars this week, saying he wanted them used in schools and not sold. "Music is the universal language," said Van Halen, according to the Hollywood Reporter. "It has the ability to transcend and convey every human emotion that exists without saying a word. Music kept me off the streets and out of trouble and gave me something that was mine that no one could take away from me." The non-profit Los Angeles foundation has distributed the guitars to seven schools serving mostly low-income students that needed them to replace broken instruments or build music enrollment. Schools were not told where the guitars came from until they arrived, and then they were advised to keep them under tight lock and key. The band Van Halen will hit the road on Feb. 18 in Louisville, Ky., hitting major cities, including New York, Chicago and Boston, before winding down June 26 in New Orleans, La. Van Halen's new album, "A Different Kind Of Truth," will be out on Feb. 7. It marks the band's first original studio album with singer David Lee Roth since 1984. The lead single, "Tattoo," surfaced this week.